Marcia Patmos of M. Patmos won the award for womenswear. 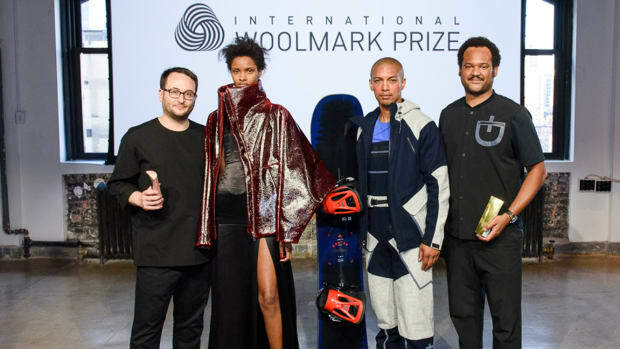 For the first time in its 50-year history, the U.S. Woolmark Prize was awarded to both a womenswear and a menswear designer. Menswear designers Dao-Yi Chow and Maxwell Osborne of Public School were the first to take home the men&apos;s honor for their street and sportswear-inspired ensemble, after taking home the prestigious CFDA Menswear Designer Award of the Year just last month. Meanwhile, Marcia Patmos of M. Patmos took home the womenswear award, besting some better-known rivals including Rosie Assoulin and Jonathan Simkhai. Each contestant produced one look, made in at least 80 percent merino wool (per the competition&apos;s guidelines), and six sketches, which were reviewed by a panel including Balenciaga Creative Director Alexander Wang, CFDA CEO Steven Kolb, InStyle Editor in Chief Ariel Foxman, W Editor in Chief Stefano Tonchi, Esquire Editor in Chief David Granger and Saks Fifth Avenue Senior Fashion Director Colleen Sherin. The chief aim of the competition is to show the versatility of wool through technical innovation. Misha Nonoo of Nonoo employed laser-cutting and a "very involved" process of cellphone yarn knitting to produce her all-red ensemble, which included a gorgeous ankle-grazing coat with a split, grid-patterned back. She said she depended heavily on Internet research to discover new techniques. 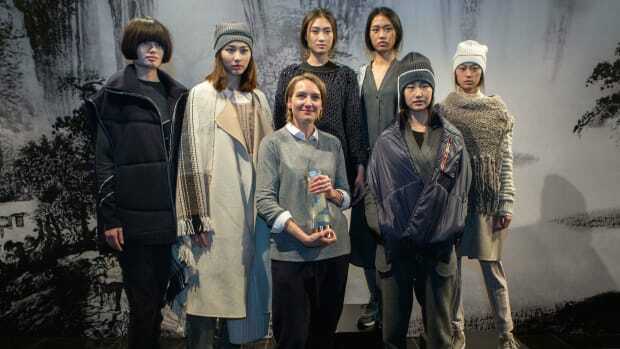 Whitney Pozgay of Whit, meanwhile, said that she explored Woolmark&apos;s vast archives to explore new methods, producing a lightweight wool dress patterned with colorful stripes and floral motifs that, from a distance, looked like hand-painted silk. Ultimately, however, it was Marcia Patmos who triumphed in the women&apos;s category with a look that was impressive for the number of pieces it combined -- I counted a knitted cap, sweater, skirt and leggings, along with wool trousers and a cream-colored coat -- all styled to look both cozy and chic. The winners have been awarded AU$50,000 ($47,000) for winning the regional competition. 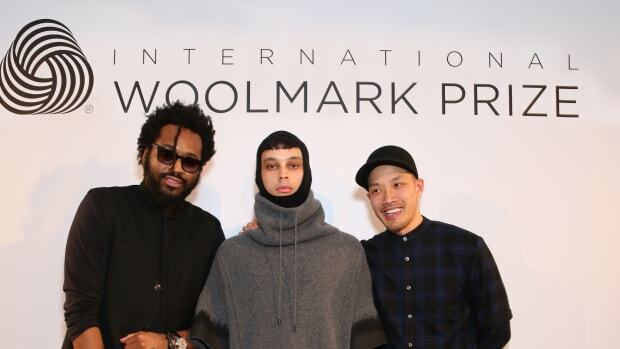 Public School will go on to compete against other regional winners for the top international prize for menswear in London in January, while the top womenswear award will be given out in Bejing in March. What prize haven't these guys won? British-born, Los Angeles-based designer Zaid Affas was awarded for womenswear.